Stepping Stone Trust (SST) was formed over 25 years ago, as a community ministry of South West Baptist Church. Originally offering a house those effected by mental illness could come to during the day to receive care and support, the Trust quickly moved to providing full residential services. Following this, community support services were added, to assist people transitioning back to independent living, or to support them to remain in their own home. 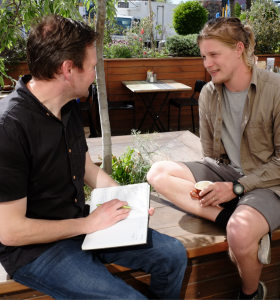 SST is now one of the largest mental health service providers in New Zealand. Each week, our services reach over 500 people in the Canterbury region. SST is fortunate to receive the majority of its funding through the Canterbury District Health Board, with all services remaining free of charge. The Trust is also grateful to receive additional funding from community groups, to assist with resources and providing an additional level of service. Our vision – An organisation which seeks to partner and collaborate with mana whenua ki waitaha to honour the treaty covenant through providing culturally informed services to deliver wellbeing for all. Our mission – Motivated by Christ’s love, Stepping Stone Trust journeys with people to find a place of standing, hope, recovery and wellness. Faith - supporting tangata whaiora (clients) and staff to explore belief in God as a pathway to wellness. Grace - accepting and respecting people regardless. Hope - every person has value, potential and new possibilities. Love - being professional and showing respect in all of our relationships. Stepping Stone Trust (SST) is a not-for-profit Charitable Trust, funded through the Canterbury District Health Board. We are grateful to receive additional funding from generous community donations.